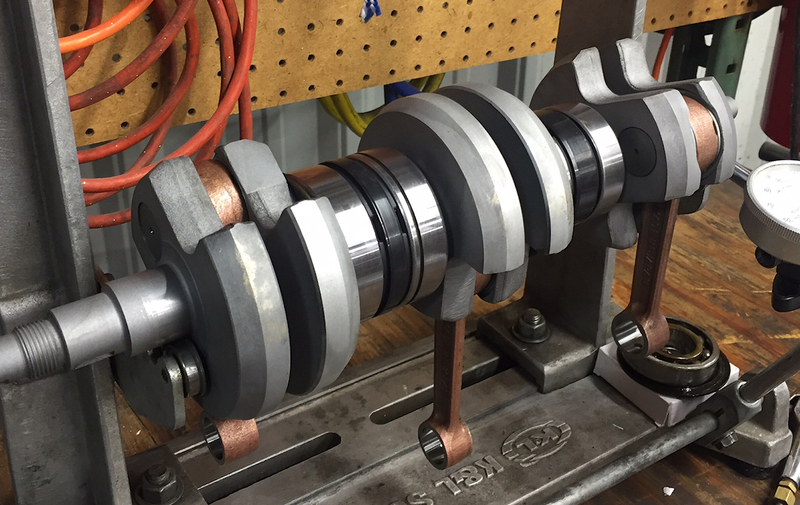 Rebuilding a two stroke crank shafts is not an easy task, it takes time, patience, and special tooling. Let us at HVCcycle take care of rebuilding your motorcycle crankshaft. All crank shafts are carefully disassembled, cleaned, measured, and re-assembled to the tight tolerances that are required. We then true the crank shaft to Factory Specs. We use all new parts when rebuilding a crank shaft, either using factory OEM parts if available or the highest quality after market parts. NOTE: Bearing prices have increased in price from 30% to 100% in the last 2 years. We reflect that change in our pricing.